Milky Way over La Silla observatory. 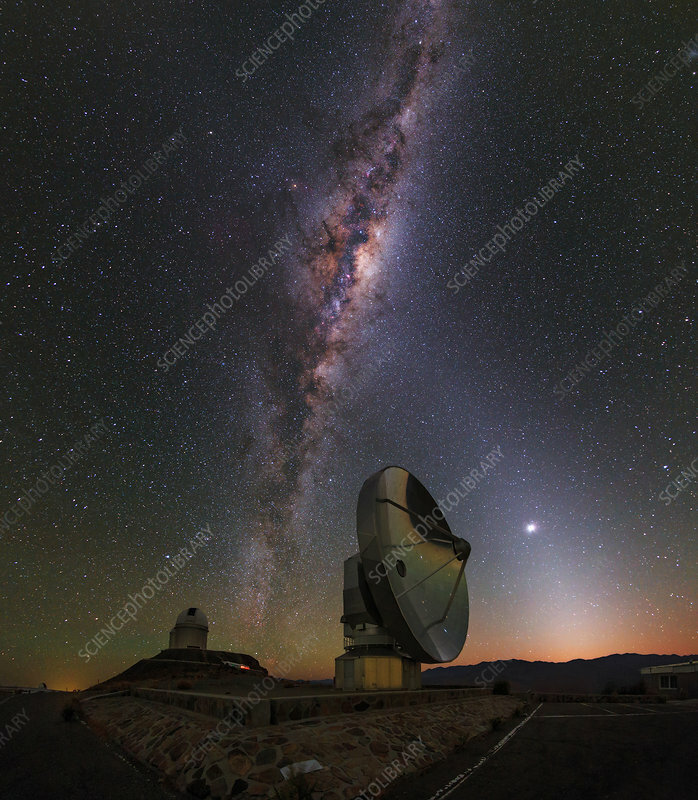 View of the Milky Way, Venus (bright, lower right) and zodiacal light over telescopes at the La Silla observatory in the southern Atacama Desert, Chile. This site is operated by the European Southern Observatory (ESO). La Silla was ESO's first observing site and is still one of the leading observatories in the southern hemisphere. Zodiacal light is sunlight reflected from dust particles orbiting in the plane of the solar system. In the foreground is the 15-metre antenna of the (now decommissioned) Swedish-ESO Submillimeter Telescope (SEST).